Ruth Johnson, 93 of California, Missouri passed away Saturday April 9, 2016 at Jefferson City Nursing and Rehabilitation Center. Ruth was born March 5, 1923 of Alton, Ill. She married Carl Johnson on October 4, 1946. She was preceded in death by her mother Mildred Norman, husband Carl Johnson, Sr., oldest daughter Barbara Jackson, grandson Phillip Johnson, great- great granddaughter Angel Johnson. 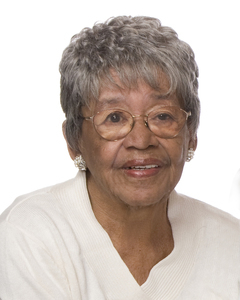 She is survived by five children: Carl Johnson, Jr., Arthur Johnson, Steven Johnson, Carolyn Johnson Michael Johnson, 13 grandchildren, 21 great grandchildren & 4 great-great grandchildren. Ruth retired from Unilever of Jefferson City, Mo. Visitation will be Saturday, April 16, 2016 from 12:00 PM - 1:00 PM at the United Methodist Church of California, MO with the Funeral Service beginning at 1:00 PM. Interment will follow at the California City Cemetery. Memorials in her name are suggested to the United Methodist Church.